BLOCKED, BROKEN OR DAMAGED DRAINS? 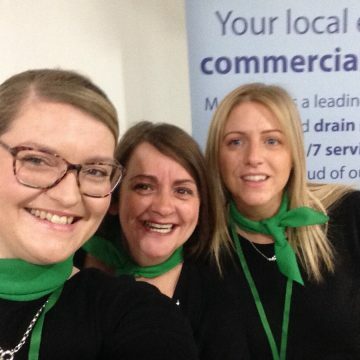 Welcome to Metro Rod Cambridge – The Drainage Experts. We provide extensive solutions to the homes and businesses of Cambridgeshire, parts of Suffolk, Norfolk and the surrounding region 24 hours a day, all year round. Blocked drains & drain maintenance are no problem for us, as our expert engineers have seen it all. We have the solution to all of your drainage problems. For more complex drain management we provide services for Fats, Oils and Grease as well as Gutter Clearing. 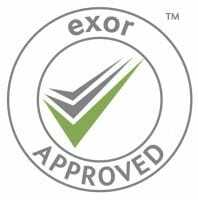 Our friendly and experienced team, based in Ely, have a range of awards and accreditations. We offer a range of services from unblocking & maintaining drains to CCTV drain surveys, we can resolve your drainage problems of all kinds, across Cambridgeshire, parts of Suffolk and Norfolk. Whether you are in Royston, Hunstanton, Kings Lynn, Downham Market, Thetford, Newmarket or Red Lodge and anywhere inbetween, we are there for you 24/7/365. With a history of working with major UK companies and leading high street names, our professional, high standard services are available 27/7/365. Whenever you may need a drain unblocking, day or night, with our unrivalled response time, we can be on site within the day. 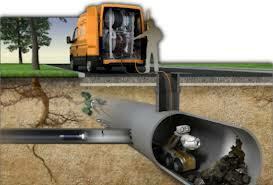 This extents into all the services we offer, including tankering services and CCTV drain surveys. All of our engineers are fully trained, DBS checked and fully insured. They aim to to give you the highest level of service, from basic services such as blocked toilets and manholes, to the more technical side, such as drain rehabilitation and detailed CCTV drain surveys. “I am committed to bringing all of our clients the best technical solution and best customer service. I am very proud to employ dedicated engineers who have worked for me for many years and who take pride in a good job well done. We understand the importance of great customer service and take care of our customers from the moment of initial contact through to resolution of their drainage problem and continue the communication with our customers after the job has been completed. Ask about a FREE site assessment, by calling us or dropping us an email. At Metro Rod Cambridge we appreciate feedback from our customers so that we can continue to improve our services. 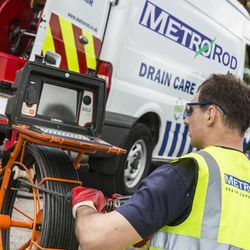 If you have recently had work carried out by Metro Rod Cambridge, please feel free to complete our short survey here. Metro Rod Cambridge are dedicated to customer satisfaction. For your peace of mind, why not take a look at our recent testimonials from satisfied customers. Looking for your next challenge? Visit our jobs page to see our latest vacancies. Mr Williams in Thetford, Suffolk recently reviewed our CCTV Drainage Survey for his property. Our Engineer was called to undertake a CCTV survey of a drain at the property which included a building extension as there was a problem with a blockage from the main drain. Mr Williams said of our service "you did exactly what I wanted, you couldn't have done more for me - 5 stars!" At Metro Rod Cambridge, we have invested in iTouch Technology which enables us to perform this camera survey quickly and effectively sending the report straight to a web portal. This report includes a full colour video, images, any site sketches, and when applicable, recommendations with the full cost breakdown of repairs. "Everything has seemed just fine by us. 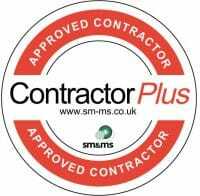 Your efficiency as a company to get the paperwork to us is brilliant and the staff on site were helpful and got on with the job in hand very well. We would definitely use you again and recommend you if anyone asked." Metro Rod Cambridge recently carried out a new manhole and soil stack installation for our client Greenleaf Property Services. Our Senior Engineer attended site to carry out a survey and advised accordingly. Graham says "your guy was very knowledgeable and advised me on what could be done, he did this on time and on budget causing the least disruption possible"
To install the manhole, it was necessary to excavate and locate exisiting pipework. We then provided a concrete base, fit a riser and a cover. We ran a new pipe from the new bathroom and connect the soil sack using existing pipework. Graham Pierce, Director at Greenleaf Property Services confidently said "we were very happy with your service, and more importantly Building Control were also very happy with the end result!" "your Engineer answered all my questions, he left clean and tidy. It was the right job at the right time"
"I wanted to let you know that its so nice to meet someone so keen on doing their job, what a lovely fella your engineer is!" Kevin is the Business owner and Manager of the team. Kevin’s background is in Groundworks and Construction Site Management meaning that Kevin has a wealth of knowledge and experience. 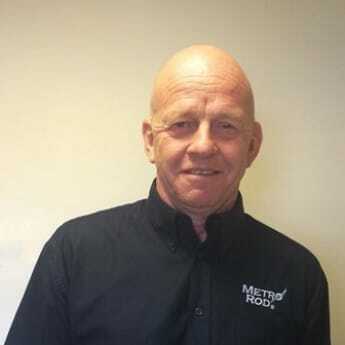 Kevin has owned the Metro Rod Cambridge Franchise since June 1995, initially starting with one van, completing all the drainage jobs himself. 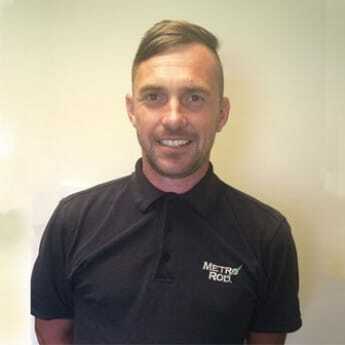 The business has grown considerably over the years; he now employs 9 other people, including 5 drainage engineers and has recently started a sister company, Metro Plumb. Outside of work Kevin is the Chairman for his local social club organising a variety of community events. 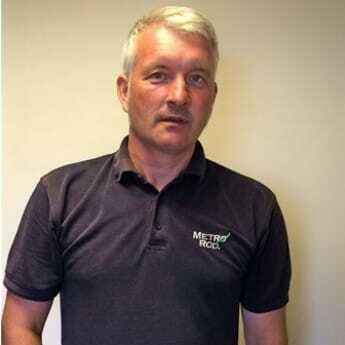 Neil is a drainage engineer and primarily our Senior CCTV surveyor. He has been with the company since 2009 and is a keen collector of vinyl. Shaun is responsible for excavation, pipe lining and plumbing to mention but a few of his skills. He is the tanker driver and operator. Shaun has been with the company since 1999. Shaun races stock cars and is a go-kart racing enthusiast. Kim has recently taken over as Office Manager and will invariably be your first point of contact at our office. Kim comes from a background of Facilities Management and makes an excellent addition to the team. Kim will arrange and log all jobs, provide communication during and after the job has been undertaken. Naomi started to work for Metro Rod Cambridge in 2016 and is keen to establish new business connections and continue to nurture existing ones. Naomi is keeping all of the social media up to date and marketing our services through these platforms as well as networking and organising Ely Hero Awards. Claire co-ordinates all of the CCTV Survey work we undertake and can answer all your queries relating to the surveys. As one of longest served members of the office staff, there is nothing Claire doesn’t know about pipework!